There are strong correlations between how people empathize with animals and how well they can empathize with other people. Animal killing contests teach children that the lives of these animals have no value and devalue life in general. They are not being hunted for food or population control, it�s killing purely for sport and entertainment. In a country becoming increasingly more violent, children should not be taught to thoughtlessly slaughter defenseless animals. My pleasure to sign. Thank you Kelly. Signed. Thank you, Kelly. I'd be ashamed to take part in such a contest. Again I ask-and people are afraid of pit bulls? These people are the dangerous ones, killing innocent animals. I put peanuts out for them and love watching them. They harm no one unlike the barbarians killing them for fun. Killing for sport is wildly inappropriate! I too signed numerous times. Is it going to be stopped? Who will be there to help stop it? Signed and noted. Thanks Kelly. 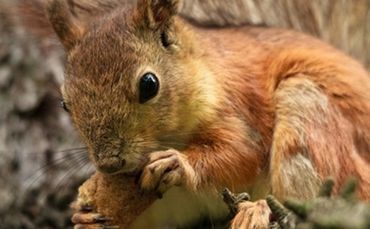 Noted and signed - when they take up this hunt against these poor squirrels who harm absolutely nobody, a team should take up a hunt on these despicable brutal and uncivilised pieces of scum! How can people harm an innocent creature? Bastards!